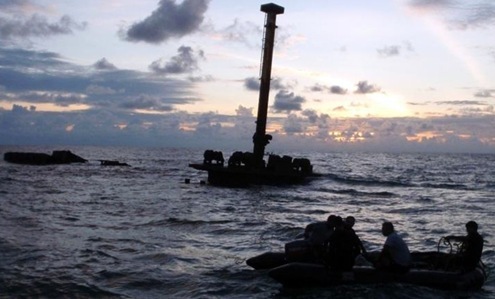 Salvage Exercises (SALVEX) 2011 by the Indian Navy and the U.S. Navy is at finishing stage. 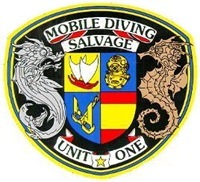 The exercise is being conducted off Port Blair in the Andaman Sea from 05 to 12 January 2011.
aim: to strengthen capability in niche techniques associated with diving and salvage. participation by the Indian Navy: INS Nireekshak, the diving tender of the Indian Navy with 17 Clearance Divers including two officers. participation by the U.S. Navy: USS Safeguard (T-ARS 50) a specialized Rescue and Salvage Ship of Military Sealift Command with 15 divers including two officers. the press release by Press Information Bureau. the Indian Navy as pdf doc. the U.S. Navy press release.